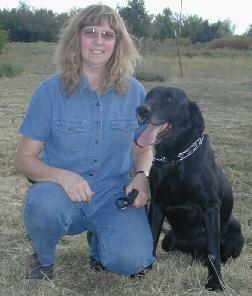 Delma has been training dogs in obedience for over 20 years and handling drug dogs for 4 years. She has also trained dogs for protection work. She is currently an obedience trainer with The German Shepherd Dog Club of Oklahoma and Executive Director of Paws Against Drugs Society. Murphy is an 8 year old black Labrador Retriever. He has been doing drug detection all of his life. 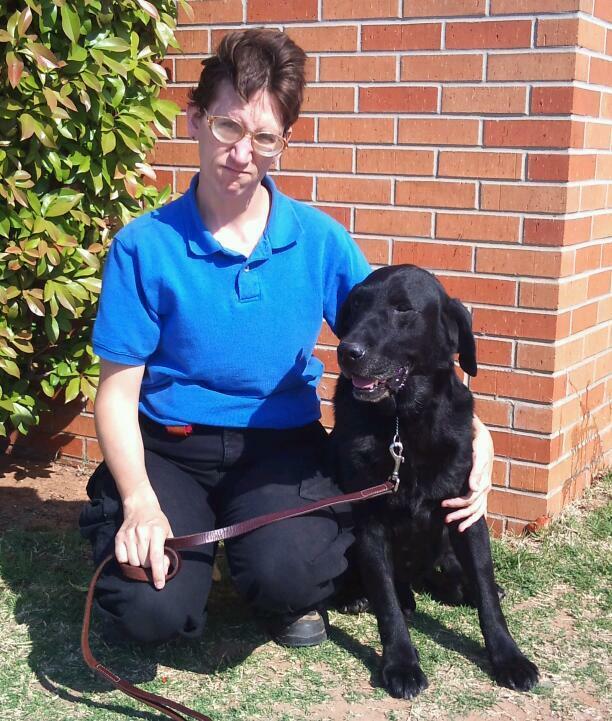 Kathryn is an obedience trainer and has been handling drug dogs for one year. She is President of the Board of Directors of Paws Against Drugs Society. Mac is an 11 year old black Labrador Retriever. He has been doing drug detection all of his life. These are our current drug dog teams. We do have another trained dog named Jack. Delma will soon be certifying with Jack and Murphy will have a new handler as more schools sign contracts with us to do searches. We will also be adding another person that will be doing the drug prevention presentations at the schools.